The Three Questions | What is ML Reading? As the crazy holiday season approaches, I’ve decided to live in the present. Every year, since ML was tiny we’ve tried to go Christmas Caroling with friends. When she was younger, it was spur of the moment. As she grew, I tried to turn it into a party. For the past three years, it’s been cancelled due to sickness or pouring rain. This year, I’m not putting a plan in place. This doesn’t mean it’s not going to happen. It might if the weather is good, everyone at our house is well and the stars align. If they do, I’ll send you a last minute text. If you have not discovered Jon J. Muth, you should. He writes and illustrates wise books. 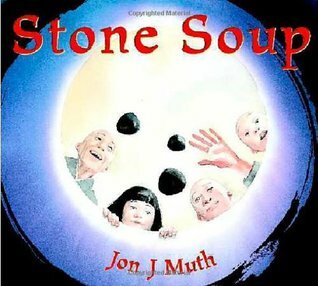 His version of Stone Soup is one of my favorites. 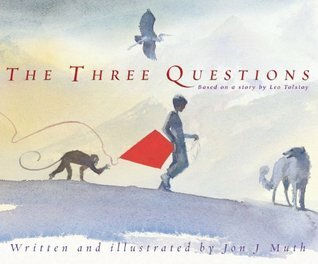 This entry was posted in Picture Book and tagged Jon J Muth, Stone Soup, The Three Questions by mlreads. Bookmark the permalink.